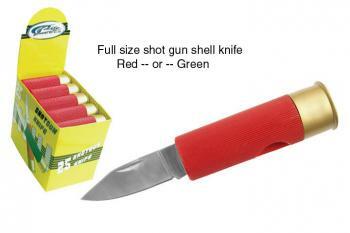 Shot gun shell knife RED [KNIV-046] - $6.95 : Metalcraft by Blair - military gifts and memoribilia. Metalcraft by Blair : brings you another unique and hard to find item. knife folds up and can be carried in pocket-- great gift for those hunter friends of yours.